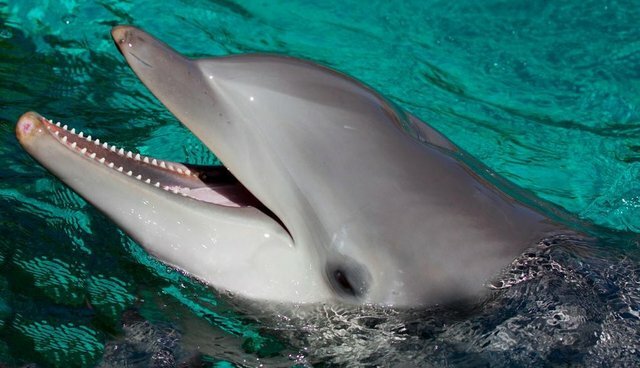 An adult bottlenose dolphin died at SeaWorld Orlando on Friday, the Orlando Sentinel reported. The company said the cause of death is unknown and an autopsy will take up to eight weeks. The death was announced the same day that the Sentinel reported the park's Dolphin Cove was temporarily closed to repair a "faulty pool surface cover," and that the dolphins were being sent to Discovery Cove and the Dolphin Nursery in the meantime. The deceased dolphin, a 22-year-old male, had not shown any signs of illness, the Sentinel reported. SeaWorld's website says that "most bottlenose dolphins probably live 20 years or less," but the National Oceanic and Atmospheric Administration puts their life span between 40 to 50 years in the wild. Fred Jacobs, a spokesman for SeaWorld, told the Sentinel on Thursday that the issue at Dolphin Cove "poses no health risks" for the animals. This news of the dolphin's death comes just two weeks after the death of Nanuq the beluga whale, also at SeaWorld Orlando. Also on Friday, SeaWorld announced that its San Antonio park will add a new dolphin exhibit that allows visitors to swim with and touch captive dolphins. The new addition "will borrow its look and feel from the company's Discovery Cove park in Orlando, Florida." According to SeaWorld's Facebook page, March is Dolphin Awareness Month.